A double dutch braided bun for those days you’re ready to try something new. 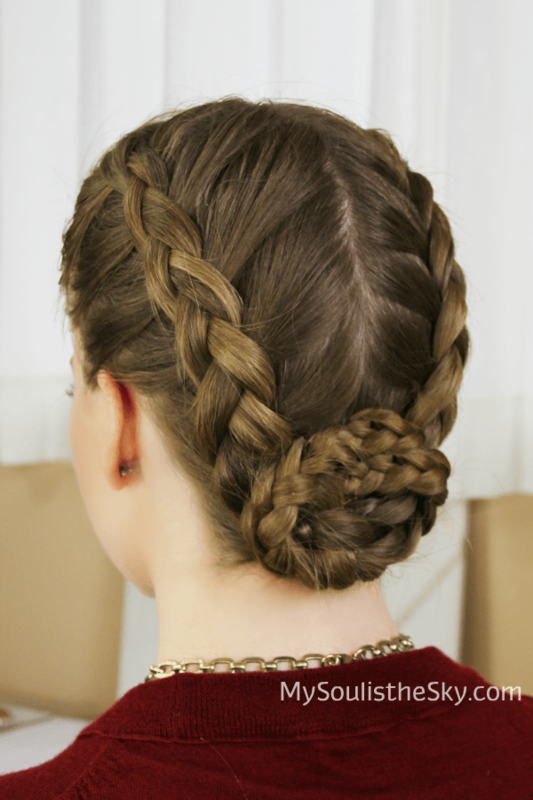 When models hit the runways the braids are always perfectly intricate, easily disheveled, and sleekly sophisticated. Copying them exactly can be quite the struggle but this particular hairstyle is easy to recreate only needing a little bit of dutch braiding, two elastics, and a few hair pins. I recently wore this hairstyle on our hike last Sunday. The air was cool and the leaves were already beginning to fall. Having it up and off my face made the hike more enjoyable and I didn’t have to worry about it once. The style is done by splitting the hair in half down the center of the head. 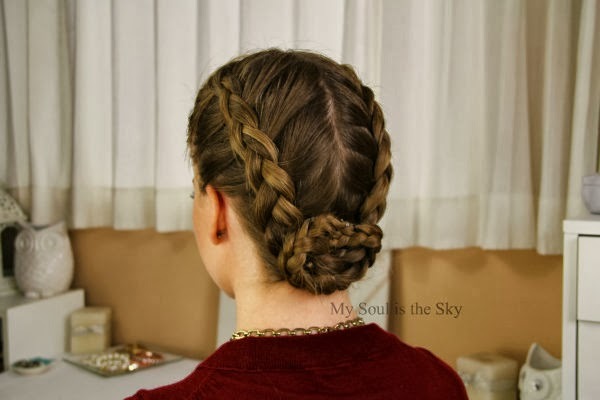 Next the hair is braided into two dutch braids and secured at the end with an elastic band. The tails are then crossed over each other and wrapped back up and over each other to form the braided bun at the nape of the neck. I hope you enjoy this look! Ooh I really like this braid, one of my faves you’ve done. You make it look so easy! you’re so talented Melissa!